Day 6 in Europe, and I think I found my favorite. Prague is one of the most beautiful places I’ve seen. And I am not even exaggerating. Even with a gloomy weather, a city so gorgeous like Prague will shine. It’s like Paris to be honest, so beautiful even when if the weather’s grey. Moreover, Prague had me at hello when we rode the local bus from Václav Havel Airport to the city center - a ride only cost 32 czk (80 php) at that time. Even the coffee and cake we had for breakfast in the airport was so good yet so cheap, that my purse said it loved Prague at an instant. But wait! 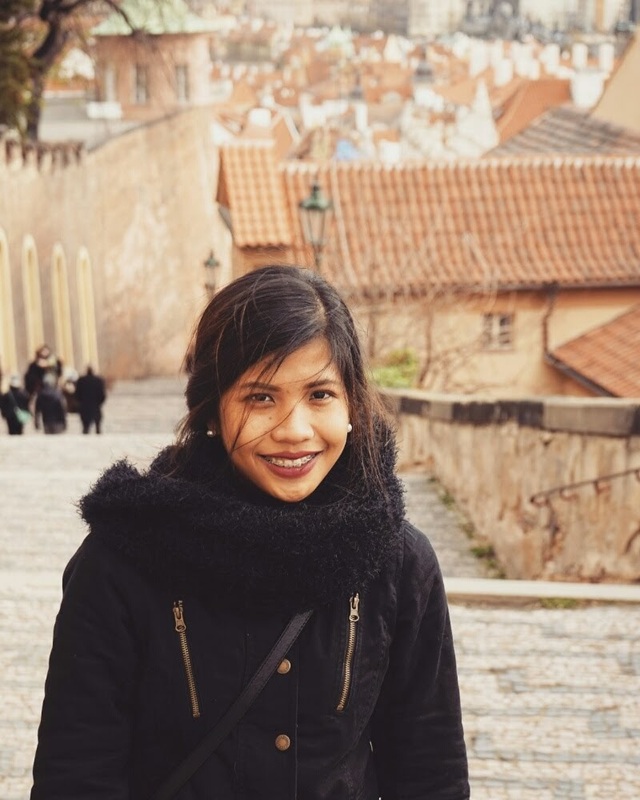 Prague is also expensive, though not to the point that ordinary Filipinos couldn’t afford. Because we spent quite a lot during our first 5 days in France and the Netherlands, I thought that it’s about time to take a deep breath and enjoy a city without spending anything for attractions. “What a time to be alive,” I once said when I first laid my eyes on Charles Bridge. 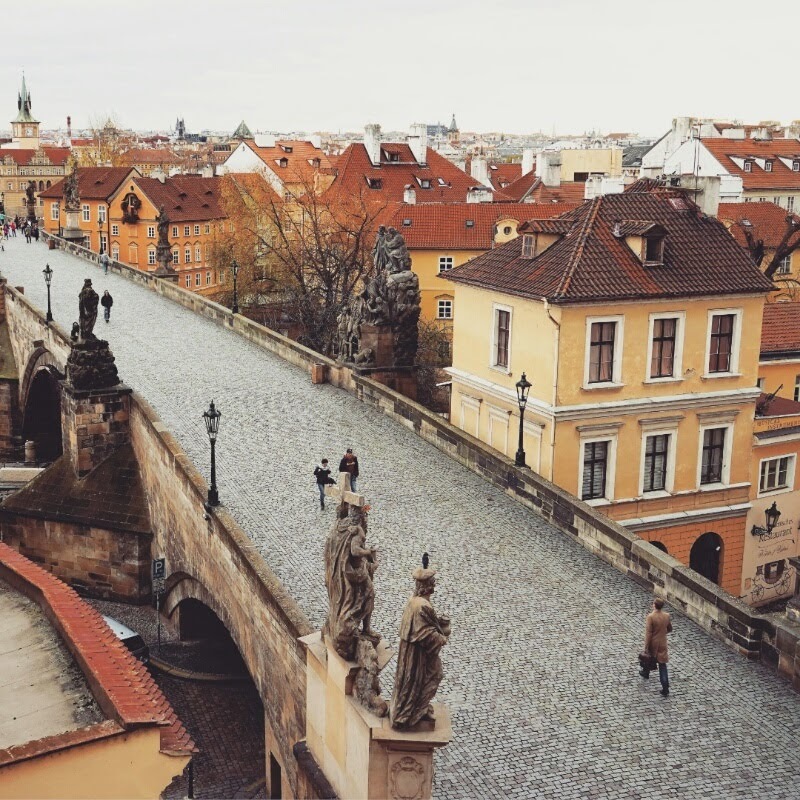 Do-it-yourself Prague tour… you’re so on! I have to be honest, all the places that I will show you are found all over the Internet. So if you’re looking for a unique or off-the-beaten spots in Prague, this is not it. I’d love to write about one but since we were in Prague for only a few days, we dedicated much of our time exploring the famous tourist destinations. 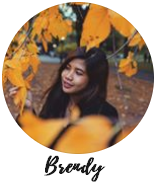 Here yah go, I hope you enjoy our free, mini tour of Prague on foot! By the way, the arrangement of the photos are in the order of their occurrence! I didn’t group them per district or locale, but I provided you a map where these places are located. Just scroll to the end of the page if you need it now. Also, everything that’s listed here is reachable by tram, but we did it on foot. Or maybe neither. If you opt to use the 32 czk public bus service I mentioned above, you will probably get off at the train station of Malostranská or Staroměstská. Malostranská is nearest to the castle while the latter is the station closest to Charles Bridge. It will probably give you a love it or hate it first impression of Prague because of the crowd. In my case, it was just love. We got off at Malostranská, and the surroundings were beautiful. It was love at first sight. Not to mention how hard it was to drag a heavy suitcase on cobblestones - which was a bummer. But wait, here’s the view! No drone’s needed to see the Charles Bridge on a different perspective. While it is free to see the bridge, one of my favorite spots is still the top view from our hotel room window (Hotel U Pstrosu). The overhead view gave a more beautiful, lofty vantage point than just seeing the bridge at eye level. 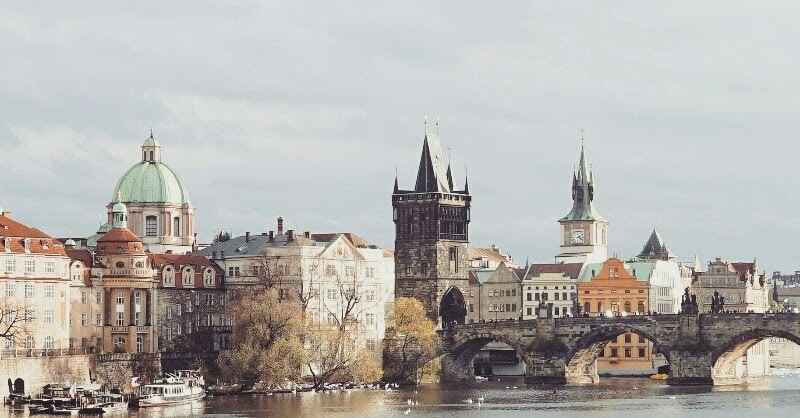 If you stay near Charles Bridge, you may wake up to a view with live traditional Prague music in the background. From time to time, there were buskers who played jazz using traditional instruments. And instantly, it perks up your (good) mood. When your hotel comes with this view..
It’s understandable that people stop for a quick photo of the clock and then bustle off. But if you got an extra minute, try to appreciate its details. The clock is composed of three main components: the astronomical dial that represents the position of the sun and moon, the calendar dial, and the moving apostles. When the clock strikes the hour (from 9.00 a.m. to 11.00 p.m.), the procession of the Twelve Apostles sets in motion. I saw the skeleton rang a small bell and rotated an hourglass during this time. It’s also good to know that this beautiful and unique clock, known locally as Orloj, is likely to be 600 years old already. There’s no way to skip this famous place in Prague. Simply because it’s located right next to the other end of Charles Bridge. 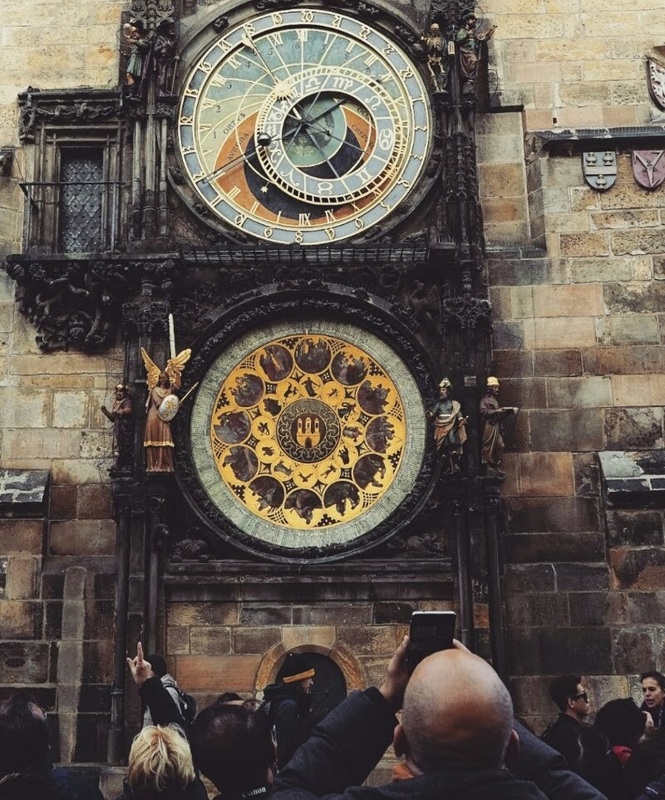 It’s also where the Astronomical Clock is located. The buildings that surround the square give that old European classic feel. There you will see horse carriages, buskers, locals painting portraits of people and many al fresco restaurants that are nicely heated. It is free to see the Old Town, but be aware that the restaurants at the center are very expensive. It’s also a very touristy place so expect a lot of people during your visit. We took some photos and walked back to see Charles Bridge again. The tourist crowds are relentless here especially if it’s 8am. If you visit by that time, don’t expect a clear view. There was a time when it felt like traversing the bridge as if it’s an obstacle course rather than a beautiful landscape. But besides the hoard of tourists taking photos along the bridge, the place is scenic and romantic. Because it is a very busy area, I think it is best photographed before 7am (or before the rest of the crowd wakes up and plague the bridge). Or at night, when the lights are on and the Prague castle is illuminated. Because our hotel was just in front of the bridge, we’ve got a lot of chance to ditch the crowd. Hence, these photos. Pařížská Street made me feel more poor especially when I saw the luxury brands that lined this street. From Yves Saint Laurent to Givenchy, this is a perfect place (for a poor person like me) to window shop! From the Old Town Square, Pařížská is only about a 5-minute walk so you’re likely to stumble upon this place. Aside from this famous street, it’s nice to explore the city’s little streets too. 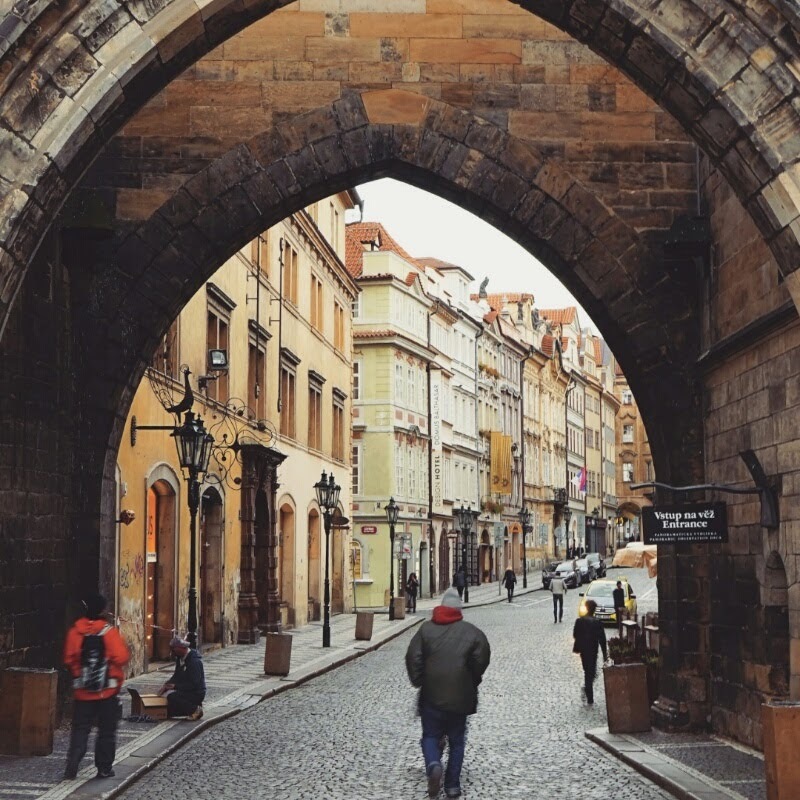 Many of the streets of Prague are laid in cobblestone. I can’t remember a street that’s ugly. It seems that wherever you go in the city center, Prague will give you a beautiful and unique perspective of this ancient maze. 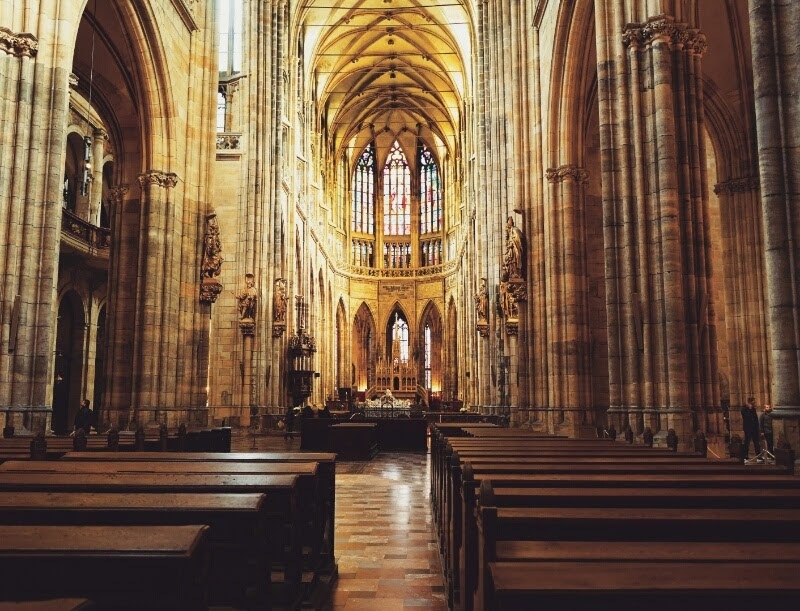 It is surrounded by the famous Prague Castle, St. Vitus Cathedral and some Baroque and Renaissance buildings. It also offers a panoramic view of Prague’s orange roofs neighborhood - Mala Strana. It is free to look around the castle but there is an entrance fee to see the interior of the castle buildings. A visit to this place requires a long walk up by the way! On our way down, back to the hotel, we enjoyed the sounds of musicians playing their saxophone and trombone. It must be jazz? But nonetheless, it was a happy music. Who knew how far the love for John Lennon extended? It’s said that even when the wall was repainted by authorities, on the second day it was again full of poems and flowers. Today, the wall represents a symbol of global ideals such as love and peace. The "Wall is Over" bit has been changed to "War Is Over". It’s a bit hard to find so do a bit of research on the map first. What I loved about this wall is it’s a cool place to visit to read the political slogans and views of people. But I hope that tourists would stop writing nonsense things on it because it might lose its appeal and leave its history behind. It is an island located underneath Legion Bridge (Most Legií). It has a nice and unobstructed view of Vltava river. Charles Bridge can also be seen because it’s super near this island. There’s nothing much to do in this area but it’s a great spot to take photos. The bridge was beautiful and there’s hardly any crowd. We were hoping to see the National Museum but we failed because it was under renovation during our visit. Instead, we just looked around and took some photos because the surroundings were pretty anyway. One of the famous monuments of Prague is that of Svatý Václav - which is apparently, found at the famous Wenceslas Square. The monument is accompanied by 4 other saints - Saint Ludmila, Saint Agnes of Bohemia, Saint Prokop, and Saint Adalbert of Prague. I think that the most beautiful neighborhood I saw in Prague was in Malá Strana which is frequently referred to as "Lesser Town". It has got the classic European feel and it’s where I bumped into more locals than tourists. It’s a tourist area still but because it’s big enough, people visiting the place are likely be scattered around the neighborhood. There is a funicular that can take you up the hill for 24czk. The famous orange roofs of Malá Strana are also best viewed from Petřínské Sady (Petrin Garden) or the Petrin Hill. We visited at least one beer museum (Prague Beer Museum) because it’s said that Prague produces the best beers on the planet. We sampled 5 kinds of beer and Kalash thinks they were all good! It was okay for me coz I’m not a beer person. We also ate in an underground restaurant (Ceska) which is also a famous hangout place in Prague. The food was okay but the ambiance was really something worth your money. 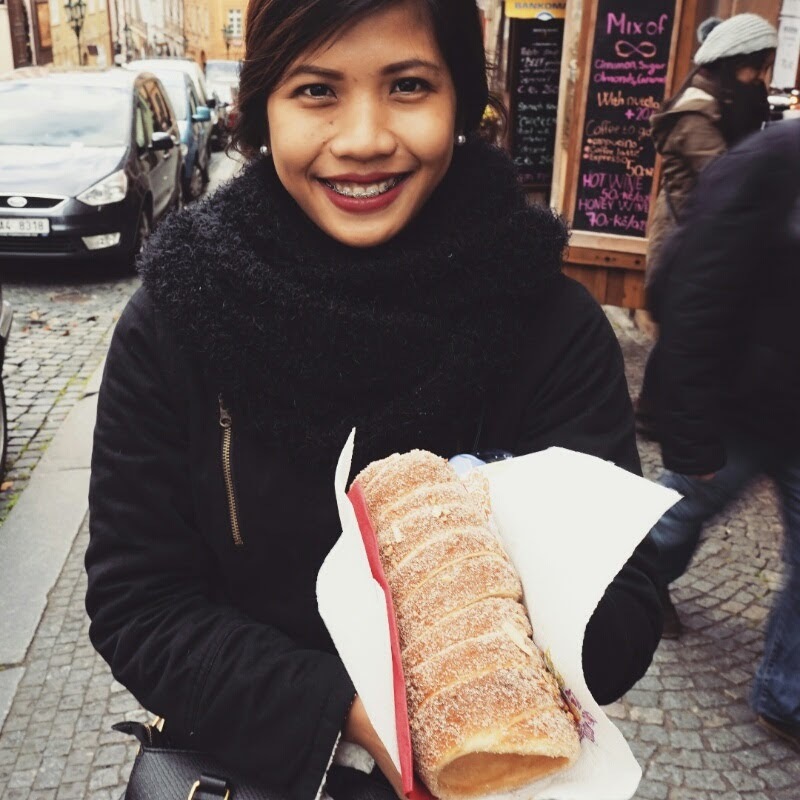 A visit to Prague will not be complete without trying out a Trdelnik. It’s their traditional bread made from rolled dough that is wrapped around a stick, then grilled and topped with sugar and walnut mix. It was so good that I could probably eat three of it in one go! We ended our tour of Prague with a goulash dinner in a jazz pub! Trdelnik - Yummy in my tummy! So, Is Prague Really My Favorite City in Europe? Since it’s only been our 6th day in Europe, there’s a whole lot to see for the remaining 15 days. But yes, so far, Prague is my favorite! Because, why not? It’s the kind of Europe that I expected to see. Lots of great landscapes backed by romantic saxophone music in the background. The city offers a lot of FREE sights to explore. A city with reliable transportation means from the airport to the center. A beautiful view of terracotta roofed houses and an impressive cathedral easily accessible on foot. 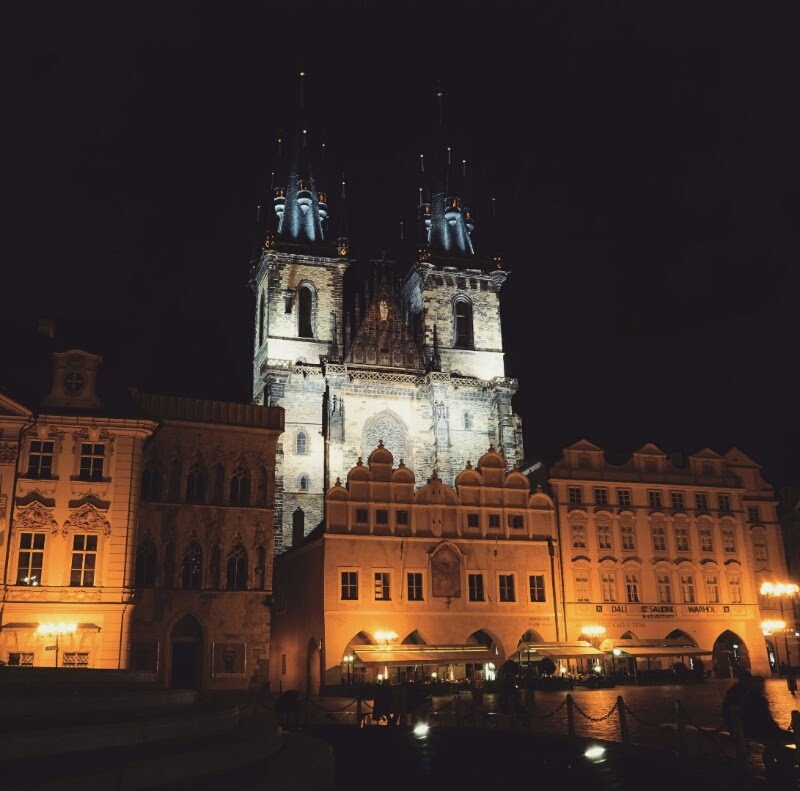 What’s not to love about Prague? 🡦 Photo Blog: What’s Venice Without A Ride on A Gondola?